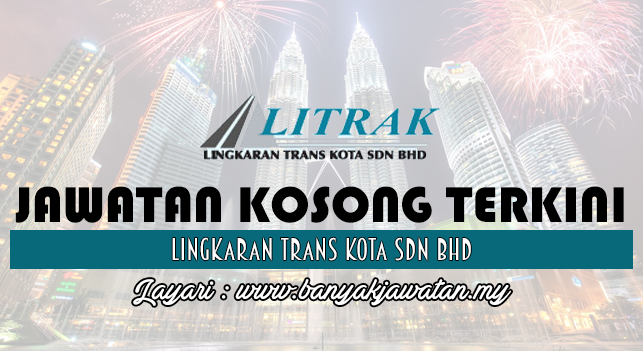 Lingkaran Trans Kota Sdn Bhd, or better known as Litrak is the concessionaire of Lebuhraya Damansara-Puchong. Since its completion in December 1998, modern intra-urban highway allows you to travel in, out and within residential areas and easily access townships like Kepong, Bandar Sri Damansara, Bandar Utama, Taman Tun Dr. Ismail, Petaling Jaya, Sunway, Subang Jaya, Puchong and Shah Alam. The LDP is your instant and vital link to major tourist attractions and places of interest. Its strategic links to Petaling Jaya, Kuala Lumpur and the Klang Valley place the city's many tourist spots within your easy reach. LDP has 19 interchanges that promote faster and convenient local traffic dispersal. It completes the Middle Ring Road 2, at the western part of the Klang Valley providing much needed second ring road, which allows you to bypass congested city roads. It does not only alleviate congestion in the city but also allows for greater capacity on the north-south corridor, stretching 40km from Sri Damansara in the south, connecting Petaling Jaya and Puchong. Morever, it links you to Putrajaya, Cyberjaya and the Hicom-Shah Alam industrial area. 0 Response to "Jawatan Kosong di Lingkaran Trans Kota Sdn Bhd - 28 February 2017"